This article was originally published by The Reporter. One year removed from a disappointing 13 win season, the Miami Dade College Lady Sharks volleyball team captured the 2016 National Volleyball Championship. The team defeated Iowa Western Community College 3-0 in the championship game on Nov. 19 in Casper, Wyoming. They won their last 10 games to finish out the season. 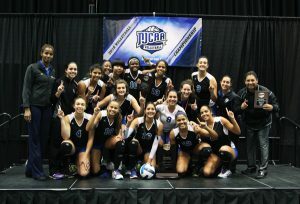 Miami Dade College’s volleyball team has now won nine National Championships. The Lady Sharks last won a volleyball National Championship in 2004. It is the team’s first National Championship with Benoit as the head coach. They finished as runner-ups under Benoit in 2005, 2007 and 2014. In the National Championship game, outside hitters Massiel Matos and Sun Wenting, libero Camila Hernandez and setter Leidy Vargas had big games. Matos, who was named the National Championship Dorothy L. Brown Most Valuable Player, filled the stat sheet, contributing 16.5 points, 15 kills and nine digs. Vargas added 47 assists; Hernandez had 22 digs and Wenting added 13 points and 11 kills. Wenting and Vargas were named to the 2016 Division I Volleyball National All-Tournament team. During the National Tournament, the Lady Sharks did not lose a set. They defeated Mineral Area College 3-0 in the first round, Salt Lake College 3-0 in the quarterfinals and Sante Fe College 3-0 in the semifinals before defeating Iowa Western Community College 3-0 in the championship game. 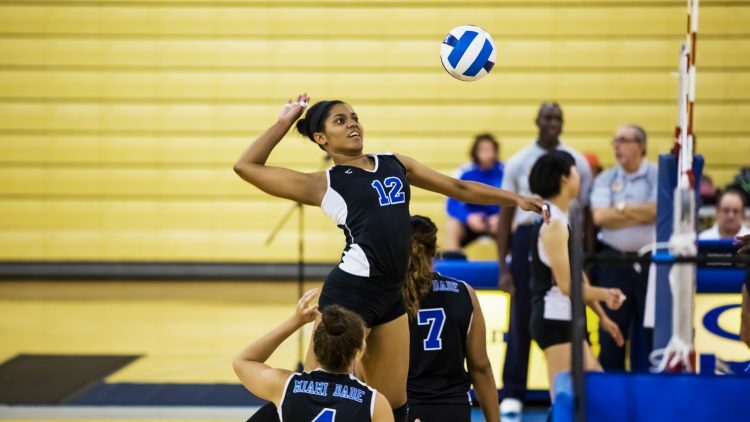 The Lady Sharks also did not lose a set in winning the State Title in early November. However, the season was not without adversity. The Lady Sharks had a rocky start, going 6-4 in their first 10 games. They also had 12 games canceled for a variety of reasons including Hurricane Matthew, a bomb threat on campus and a Hillary Clinton speech. Despite the difficulties, the team won eight of their last nine games to finish the regular season at 14-5. They won 15 out of their final 16 games overall, including state and nationals, to end the season as National Champions.